Pressing questions, hot topics, and collaboration amongst your favorite basketball minds—welcome back to Around the Rim. Think of Around the Rim as your local politicians would like for you to think of a town hall, a safe forum for all voices in the basketball universe to be heard. A stable roundtable, fluctuating in both voices and trendy issues. We’ve had over 300 unique contributors working at any and every outlet you can think of living all across the globe. The roundtable runs every Tuesday, with new questions and new voices each week. If you have a question you’d like answered by the panel, tweet @JoshEberley or @HOOPmag and check back each week to see who hopped in for the current edition. Last week’s edition can be found here. The NBA community has reached peak offseason mode, quarreling over petty player comparisons—cough, Joel Embiid vs. Nikola Jokic—and arguing whether players like Devin Booker are overrated or underrated. Who is the hardest player past or present to have a rational conversation about online? Devin: In my experience it’s always been Kobe Bryant. It seems like everyone on Twitter either defends his every move or hates his existence. Say something positive about Kobe? You’ll get people saying he’s not a top 30 player ever. Say something negative? It’s attack of the stans. There’s really no winning. That’s why I mute every Kobe extremist I see now. Josh Eberley asked the question on Twitter a while ago, “Which player’s legacy is tied closest to a single game?” To me it’s Kobe. Apparently, he’s better than LeBron because he scored 81 one time. I lean closer to anti-Kobe but both extremes are equally annoying. Galletti: So, I have this tweet I revisit when I’m bored and want to spend the weekend arguing with the casual fans. It’s my NBA top 50 all time list (the latest version is here). It’s honestly meant as an ongoing exercise of my evolving opinion on basketball, a demonstration of how hard it actually is to come up with a coherent top 50 and as a way to engage in thoughtful discussion with basketball fans. It doesn’t do that. It triggers the most rabid of NBA player fanbases. They come out from the wilds of Italy, from the walk of fame on sunset, and even some from the valley of Temecula. I’m talking about the Kobestans. Kobe is by far the greatest flashpoint between casual NBA fans and people whose basketball opinions I actually respect. Now, don’t get me wrong, Kobe is an all-time top 50 player, I have him in the 30 range myself, but having the audacity to not think he’s a top five guy? I must be insane. Never mind that he’s barely a top five Laker (it really depends on how you feel about Wilt in the discussion). Kobe’s case is so particular because of where he played, who he played with and recency bias. Oh, and the facts that casual fans judge everything by point scored. Robinson: I think the clear answer is Allen Iverson, but it’s one that we revisit on a regular basis, so I’m going to make him off-limits to myself. In this scenario, it’s Russell Westbrook. Westbrook is a guy who suffered a lot of positives and negatives from Kevin Durant’s presences and departure. 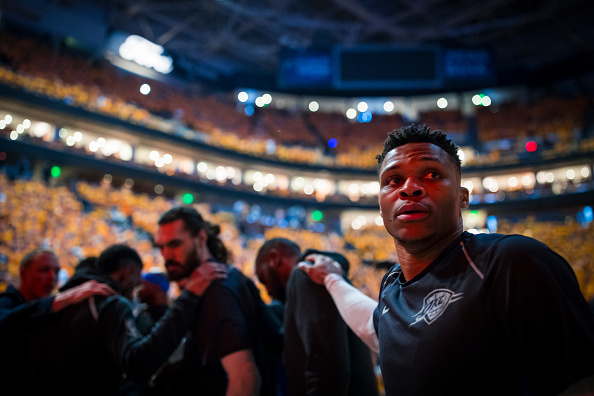 While Durant was in OKC, people scapegoated Westbrook for the team’s shortcomings, while a smaller chorus of people wondered if maybe he was being hindered. For several seasons after James Harden was moved, people looked at Westbrook as the incorrect choice between the burgeoning stars. Fast forward and many of the traits people criticized Westbrook for in the context of playing next to Durant, he now uses those to be his calling card in an annual assault on the League, its statistics and regular season award voters. However, the Thunder have floundered during this time. At first the efforts were met with adulation, but now the Herculean efforts are seen as Westbrook-mundane and met with derision. Looking wholly disjointed with Paul George has added to the criticism. Here we have a player who is undoubtedly exciting and dynamic, but his play is starting to produce more detractors than believers when it comes to his value. Throw in the fact that he seems to actively seek out triple-doubles while bristling at the media’s questions about said stat hunting, instead holding up the idea of TEAM, and you have a player who is taking massive narrative hits. His most redeeming trait continues to be that he stayed while Durant left, helping to cultivate the lore of his leave-it-all-on-the-court, do-it-for-your-teammates-type attitude. This has garnered him staunch supporters, while many others have become skeptical if not outright detractors. In this way, he has mirrored Iverson, and if he’s done that then he is rightly up for discussion as the most difficult player to discuss, past or present. 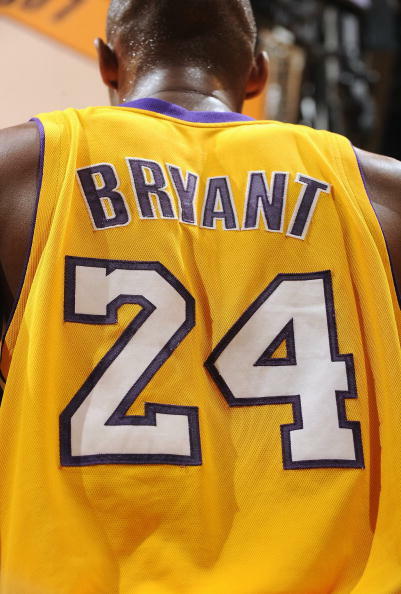 Smith: In the debate over who is hardest to discuss, one name reigns supreme: It’s Kobe Bryant. There’s no way to debate Kobe’s impact or career online without enduring an all-out assault in your mentions, particularly if your point is in any way critical. Trigg: Maybe this is my Mavs’ bias showing here, but I feel like Luka Doncic already fits that criteria. People, including myself, either think he’s going to be superstar or that he’s being overhyped. From my perspective at least, there doesn’t seem to be much middle ground. I’ll say this though — those that are doubting Doncic haven’t taken the time to really study his game. Taking off my Mavs goggles, though, I’d say Kevin Durant is the hardest guy to have a rational conversation about, and that’s mainly because a lot of folks are still hung up on his decision to join the Warriors. I can’t tell you how many times I’ve seen him being called a “snake” on Twitter. I still don’t agree with his decision, but I also can’t deny his greatness either. If you had to guess who finishes top three on the MVP ballot next season, who would you select? Trigg: At No. 3, I’m going with Anthony Davis. With the Pelicans losing Cousins for good now, I think AD will continue to spend a lot of time at center and rack up huge point/rebound totals. 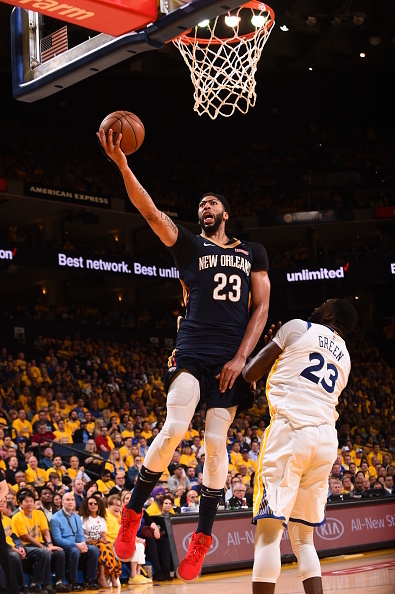 If the Pelicans were better than a fringe playoff team, I’d probably have AD as the favorite, but I see New Orleans being in a similar position this season that they were in last season. The MVP runner-up will be LeBron James. Even though LeBron is due for a decline in production any season now, I don’t think it’s going to be this season. Being with a new team, I think LeBron will be re-energized and re-motivated to take on the daunted Western Conference. At No. 1, I’m going with Giannis Antetokounmpo to win the MVP award this upcoming season. 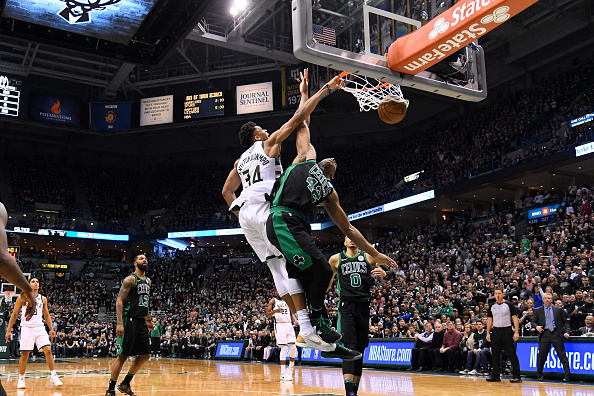 Giannis finished last season averaging 27/10/5 as the Bucks finished 7th in the East and took the Celtics to seven games in the first round before ultimately being bounced. With LeBron gone West, and Giannis sure to continue his development on that jumpshot, I see the Bucks having home court this season and Giannis raising his personal statistics to a new level as well. Devin: LeBron, Kyrie, Giannis. LeBron has all the spotlight in the world now in Los Angeles. Every single game will be talked about by millions of people. My only hesitation with this pick is team success. The Lakers may be a 7 or 8 seed, which would make it very tough for LeBron to win. Kyrie is in there because the Celtics will win around 60 games and he should be the best player out there. He’s in the mix for a 50/40/90 season after coming up just short the past few years. I could see him getting a lot of votes. He’s my dark horse. Finally, Giannis. He is going to put up monster stats again. He’s drastically improved every year he has been in the League, and I don’t see why that would stop now. The Bucks should be a middle of the road playoff team in the East which could hurt his case. All in all, it’s LeBron’s year if the Lakers do well. Galletti: I’ve written extensively about the MVP race before but let’s summarize a bit. The MVP is not about rewarding the actual most valuable or productive player but rather the player that is perceived by the public to have contributed the most to wins. That public perception is driven by the amount of wins the player’s team has and by the volume of the counting stats (points, rebounds, assists, blocks) that the player has for his team. So, when looking to bet the MVP you’re looking for a clear number No. 1 guy (sorry, Steph and KD), playing for a team with a lot of wins and a high seed (not good AD and LeBron) who puts in a ton of counting stats (right Russ?). Oh, and voters like guys who are perceived to have paid their dues, so previous top 5 MVP finishers have a leg up. I love everything about Kawhi for MVP. I think Toronto has a good shot at the No. 1/No. 2 overall seed. Kawhi is the clear top dog there and he’ll fill the heck out of that box-score. Kawhi also has multiple top three finishes MVP to his name. I think Giannis is the clear No. 2 particularly since I think the Bucks are probably the 4th best team in the East. I do think the Bucks won’t quite win enough games to get him fully over. Also, Giannis hasn’t finished top five yet. I think this is the year for Giannis to finish top three. 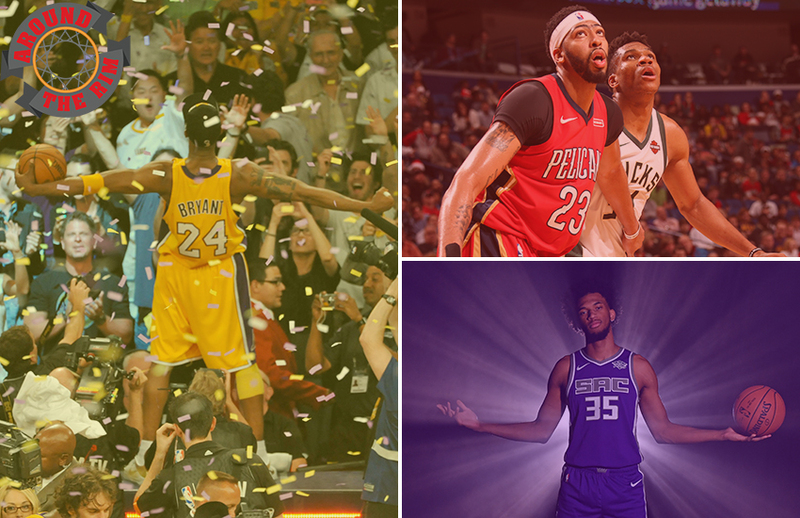 Anthony Davis coming off his first top three finish last year has a strong résumé. I also quite like the Pelicans and think they’re better than last year. Unfortunately, New Orleans still plays in the West. I think AD’s chances will be down to if he can get the Pels a top three seed in the West and I don’t like his chances. I think he’s a lock for top three (unless he gets hurt of course) but his odds of actually winning are lower than Kawhi or Giannis because of factors out of his control. Of course, this gets utterly thrown out if KD or Steph miss significant time as whoever is left standing in GSW becomes your dark horse immediately. Robinson: Top three ballot finishers for me would have to be James Harden, Anthony Davis and LeBron James, again. I think Harden honestly has a good chance at repeating, but LeBron getting the Lakers to anywhere near 4 or 5 in the West might claim him another MVP trophy. The new purple and gold colors might help stymie any sort of LeBron fatigue. The biggest challenge to Harden’s MVP repeat will be the health of Chris Paul. If he’s healthy, CP3 healthy, and plays 70 games, it could put a small dent in Harden’s chances. Harden’s numbers will still look amazing and possibly the same or better, but the fact of having Paul for a “full” season can play tricks on voters’ minds. On a side note, I think Damian Lillard falls a bit in the final voting while Giannis Antetokounmpo jumps up to his spot from last season. 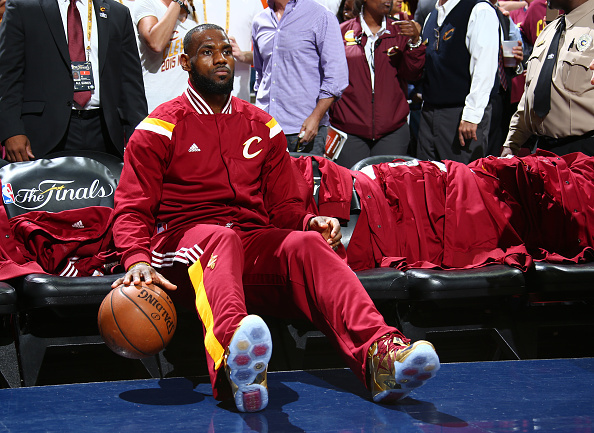 Smith: At this point, with two months to go until the regular season begins, my MVP choice is currently LeBron James. A rejuvenating move West to Los Angeles combined with the fact that he’s going to have to try a bit harder in the regular season topped with the fact that he’s still the best player on the planet makes him a significant favorite. Behind LeBron is James Harden, a perennial top-two finalist for MVP. Third is trickier to divine, but if Kawhi Leonard hits the floor healthy and motivated for the Toronto Raptors, he should wrap up the top three MVP finalists. Marvin Bagley does not lack confidence, hilariously picking himself to win both Rookie of the Year and MVP next season. 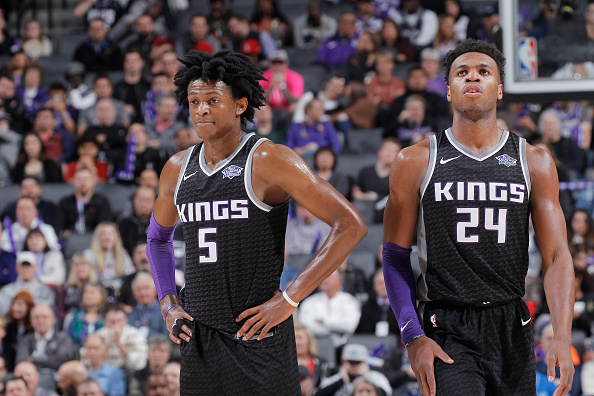 The Kings have acquired a bevy of lottery talent but have yet to turn a clear cornerstone piece, who do you think is the best player on the Sacramento Kings three years from now? 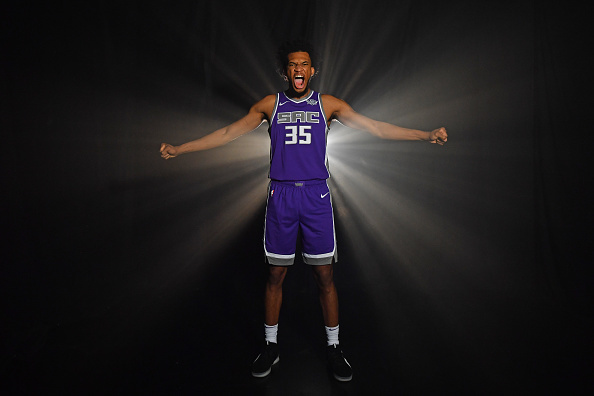 Smith: There’s a good chance Marvin Bagley is the best Sacramento King in three years, but it’s also possible the best King will be a player not yet on the roster. Given the franchise’s propensity for high lottery picks, there’s no reason to assume future young players can’t surpass him in the pecking order. Trigg: As much as I liked Marvin Bagley in the predraft process, I simply could not believe the Kings passed on Doncic at No. 2. This is a hard question, because you never know who Sacramento could add next via trade, the draft or free agency, but I’m still going to go with Bagley. He definitely still has things to work on, like learning to use his right hand more and defensive positioning, but his potential is pretty high up there. He has the talent, now we’ll just have to see if the Kings can do the right things with that talent. Devin: I am pretty big on Marvin Bagley. While I don’t think he’ll be winning MVP anytime soon, or even Rookie of the Year next year, I think he’ll be a franchise big man. I wasn’t all that impressed by De’Aaron Fox’s rookie campaign, but he’ll likely wind up a mid-level starting point guard in coming years. Buddy Hield has shown he can be an elite NBA shooter and I’m excited to see his volume increase as he enters his prime, but he’s old for a third-year player. He’ll be 25 this season and hasn’t shown he can be a franchise player. I think Bagley can get there. I expect him to get a ton of minutes on a bad Kings team and put up pretty big numbers, so he’s my pick. I wouldn’t be surprised at all if he was a 20 and 10 guy by his third year. Galletti: Currently on the Kings? Yikes. Seriously though, my draft model quite liked Bagley. I have him rated as an A+ prospect and he was good at everything in college (he even shot 40 percent from three). He could easily be the best player on this squad next year and he definitely should be the best player on the Kings in three years. It’s the Kings though, so who knows? Robinson: I’m going to reach and cheat and say Buddy Hield. I think if he ends up being there he’ll be their best attraction. By that I mean he can keep fans upbeat regardless if these young players turn the corner or not. If they don’t, he can keep the jumpers raining making more games than should be possible, exciting. If they do, he’s their offensive engine who can manage to swing games (both ways) with his free flowing shot. Duke played an exhibition against Ryerson University in Toronto last week. Phenom freshmen, Zion Williamson and R.J. Barrett put on a show. Both are likely to be top five picks in the draft next year and because of that, Duke will attract a great deal of attention this season. As a panel comprised of die-hard NBA fans, which college team did you enjoy watching most historically and what about them peeled your eyes at least temporarily from the NBA? Robinson: I’m not the biggest consumer of college games, but the 2009-10 Kentucky team probably compelled me to tune in the most. I really enjoyed that a group of freshmen truly rubbed the one-and-done ethos in the faces of purists and diehards alike, including their coach. It was like they were taunting the NCAA front office and traditionalists, along with plenty in the NBA crowd as well. John Wall was a tour de force that had non-sports fans hitting his dance in bars across country. I saw it. Smith: The last two Michigan teams to go to the championship game captivated me like few other college teams. Setting my home team bias aside, the two teams provided different sides of the same coin. The 2013 team was a powerhouse with dynamic players and storybook finishes (see Trey Burke’s last second three against Kansas in the NCAA tournament), while the 2018 team was an underdog that gelled at the right time on their way to a tournament run. Devin: I would have to say the 2010-11 UConn team. I’m from Boston, where college basketball isn’t that big. We don’t really have a hometown team to root for, but in 2011 I remember watching Kemba Walker and feeling like I had a favorite college team for the first time. I hung a UConn poster in my room, which is weirdly still there even though I go to a different college and haven’t watched UConn in years now. I have teams I watch every year, specifically Wall’s Kentucky team, the undefeated Kentucky team, and in a little while this year’s Duke team, but none have been like that UConn team. Something about the excitement of that Cinderella run intrigued me a lot. Trigg: I’ve watched more college hoops in the last few years than I usually do, being that Dallas has found themselves in the lottery a lot here lately. 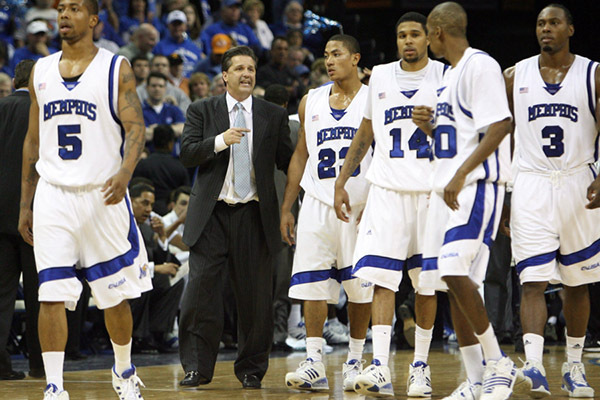 But if we’re talking all-time, I’m going with that 2007-08 Memphis team that featured Coach Cal, Derrick Rose, Chris Douglas-Roberts and Joey Dorsey. I’m a Southern Miss alum, and Memphis was, at the time, in C-USA, so I was able to see that team up close and in person that year, and they were fascinating to watch. Although those 38 wins from that season were eventually vacated, I’ll never forget that season and March Madness run they had. Galletti: I spend a lot of time scouting individual NCAA players, but I don’t actually like NCAA basketball. It’s sloppy and the coaching is bad enough as to hurt my soul. To elaborate, as a DFS/fantasy person, I need to watch a ton of NBA basketball and think about plays and strategy and I’m used to certain baseline level of competence in play calling. Watching NCAA basketball is jarring. So, I generally tend to gravitate towards exceptional talents (Ball at UCLA, AD at Kentucky). There is one exception in the recent past. Butler. I loved coach Stevens’ Butler teams. Those teams played beautiful basketball. As a Celtics fan, I was ecstatic when they brought coach Stevens on board. It’s made my life as an NBA fan at least ten times better. In the spirit of offseason shenanigans, if you could go back and amend one award you thought was incorrectly handed out? Which award would you adjust and who would the new recipient be? Galletti: Let’s stay on the Kobe topic, shall we? 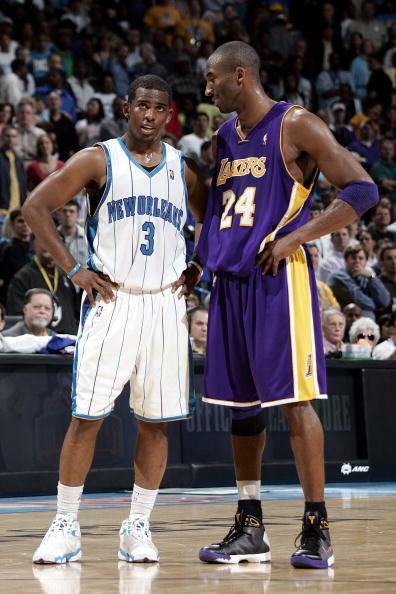 2008 was Chris Paul’s MVP and it’s a crime they gave it Kobe. Rose winning the MVP in 2011 is arguably the least deserving MVP, but LeBron already has multiple MVP awards. By the majority of advanced metrics, it was CP3’s award to win and the ones that didn’t have him had LeBron. You could make a strong argument for Kevin Garnett at No. 3. Kobe benefited from the Lakers being gifted Pau Gasol and for the luck of the schedule. Kobe also had the advantage of being perceived to deserve a career MVP. The race really came down to the last Lakers-Pelicans game of the season. It was April 11, 2008 at LA. It was the second game of a three games in four nights stretch for the Pelicans. It was nationally televised. Lakers got a nice free-throw cushion (29 FTA to 17 for NOLA), they win by 3. That win gets the Lakers the No. 1 seed and Kobe the MVP. 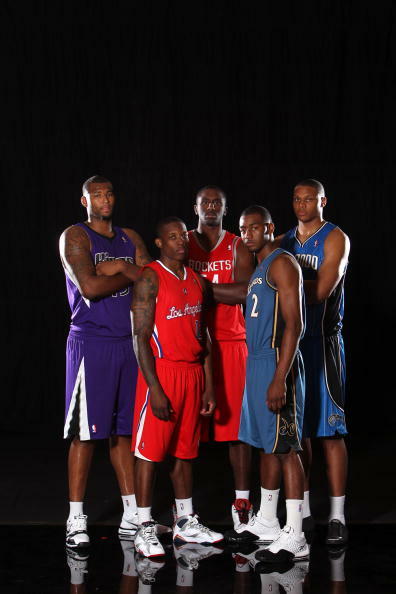 Robinson: I would take Kobe’s MVP award for the 2007-08 season & give it to Chris Paul. I’d do this because honestly, there’s something off about Kobe winning an MVP. Something screams that he should have the “blemish” of being a guy mentioned alongside MJ and LeBron, but with no regular season MVP. To be the guy the Lakers, in some ways, embraced more than Magic. This is more about Kobe winning an award that fell to him than a award that was ripped from Chris Paul. Smith: Without a doubt, James Harden would be a two-time defending MVP if I could change history. While Russell Westbrook’s 2016-17 MVP campaign was nothing short of astonishing, Harden ticked all the boxes in his runner-up season. Trigg: Does this have to be an individual award, or can I go back and give the 2006 Larry O’Brien trophy to the Dallas Mavericks? In all seriousness though, I think the Finals MVP was incorrectly handed out in 2015. Even though the Warriors won the title, LeBron was far and away the best player in that series—the true most valuable player though those 6 games. I know some people have a problem with rewarding a Finals MVP award to the losing team’s player, but the gap was big that I was actually shocked LeBron didn’t get it. Andre Iguodala’s name will forever be listed in the history books as the MVP of that series, but we all know who it really was. Devin: As a cop out answer I wanted to say LeBron got robbed of unanimous MVP in 2013 by Gary Washburn’s Melo vote, but my real answer would be 2011. The voting wasn’t even close which is the most surprising part. Rose got 113 first place votes. LeBron got four—FOUR! He didn’t even come in second place, Dwight Howard did. LeBron was responsible for more points per game, grabbed over three more rebounds per game, was way more efficient, and was in a different stratosphere than Rose defensively. In fact, LeBron came in ninth in DPOY voting that year. I don’t mind Rose winning it because the Bulls were insanely good that year and he was electrifying, but it should have at least been close.